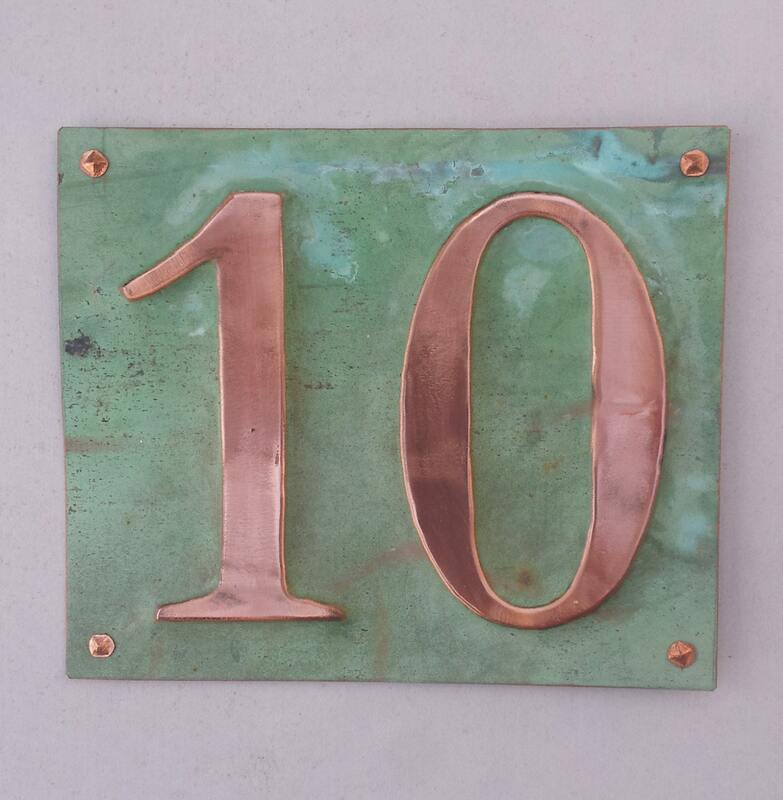 2x numbers 6"/150mm high in Garamond font 6"/150mm high pressed from one piece of eco friendly copper - this is a 99% recycled product. 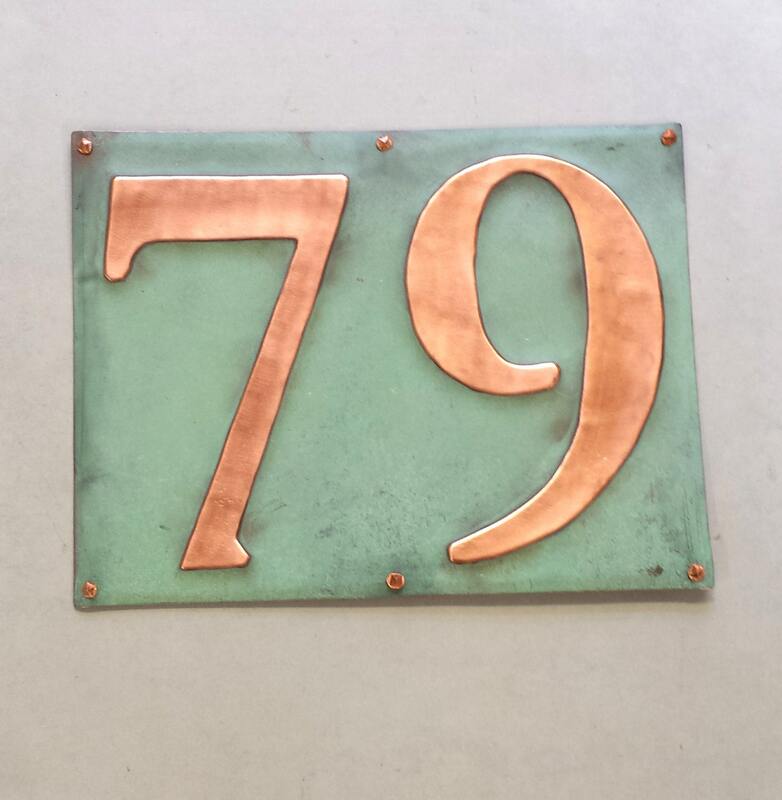 The polished copper numbers are laquered, the patinated is left 'as is' and will improve further with age and humidity. 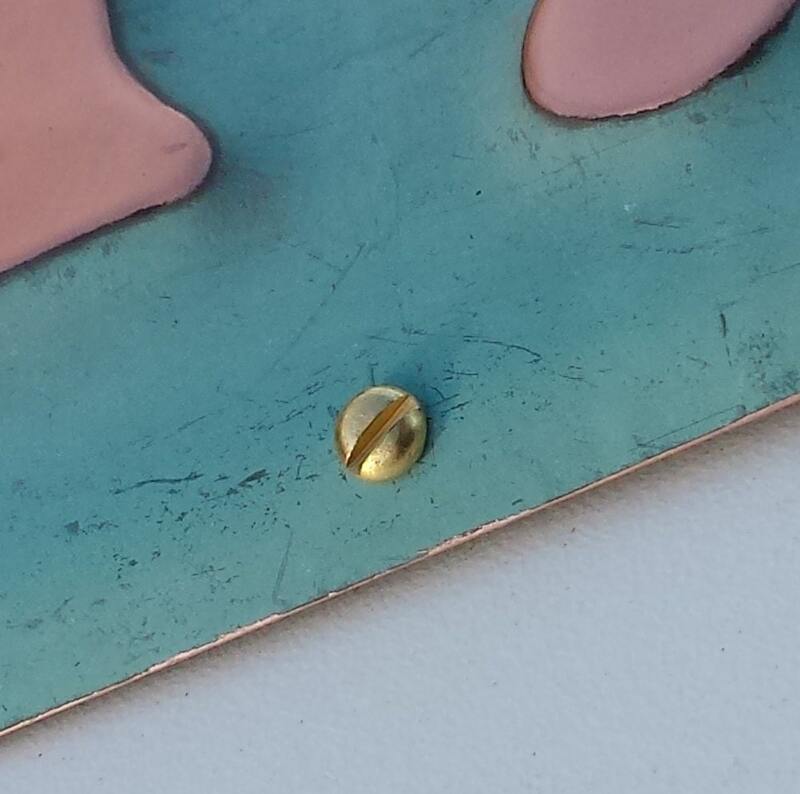 Plaque is fixed onto wood with copper rose head nails or wood and masonry with brass round head screws. Supplied with screws or nails and fitting instructions. 79 approx size 24 x 18cms/9.25 x 7"
10 size approx. 21 x 16.5cms/8.5 x 7"
I could not be more pleased with this beautiful address plaque. It is truly a work of art. Very high quality work. Totally satisfied with this purchase. We love our beautiful copper number plate! We had a few questions about the patina and installation, and the shop owner was quick to respond and thorough in the explanation. Shipping was surprisingly quick considering it was international. Overall very pleased. Thank you so much! I'm very pleased with the number plaque. The design is a welcome alternative to the more common choices which are either boring or overdone. The craftsmanship is excellent and it's a lovely complement to our copper cupola and copper roof accents. It was sent promptly and packaged well for safe delivery to the US. Thank you, David. I'm so glad to have found you on Etsy. Wonderful. 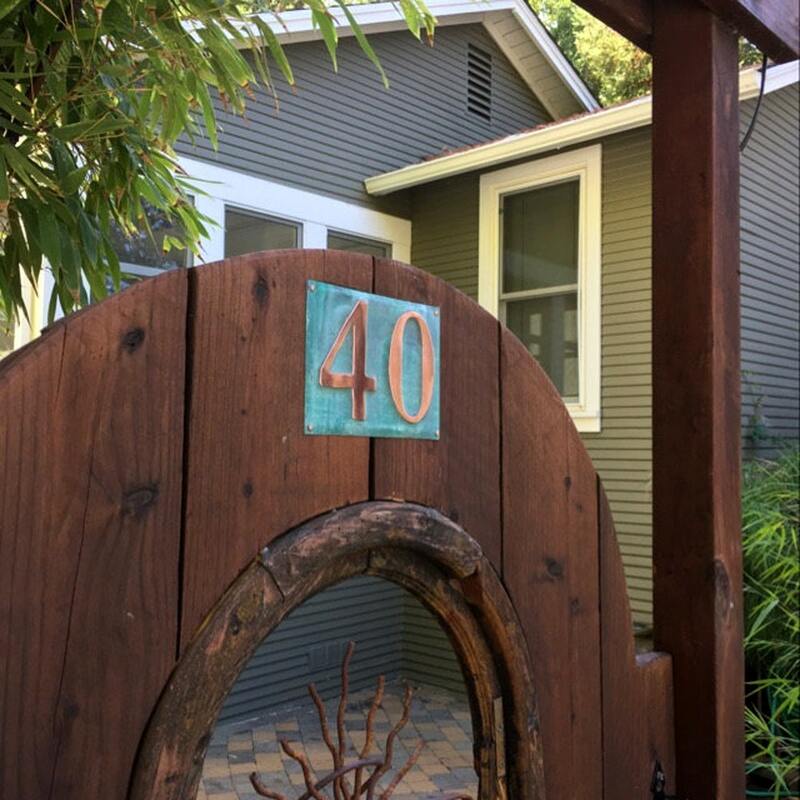 We are so pleased with our new house numbers. Thank you David for a beautiful job.